Expeditions all over Príncipe island. The Príncipe Biosphere Nature Reserve, Santo António, old Roças or virgin beaches. 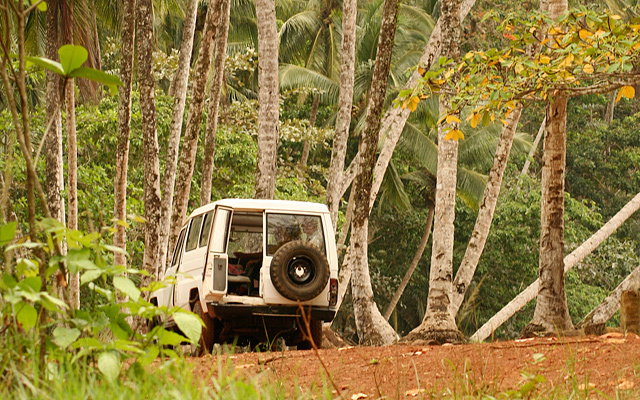 Hotel Rural Abade will take you to the secrets of Príncipe Island. By foot, by car, by boat. Hiking, swimming, relaxing. You decide.